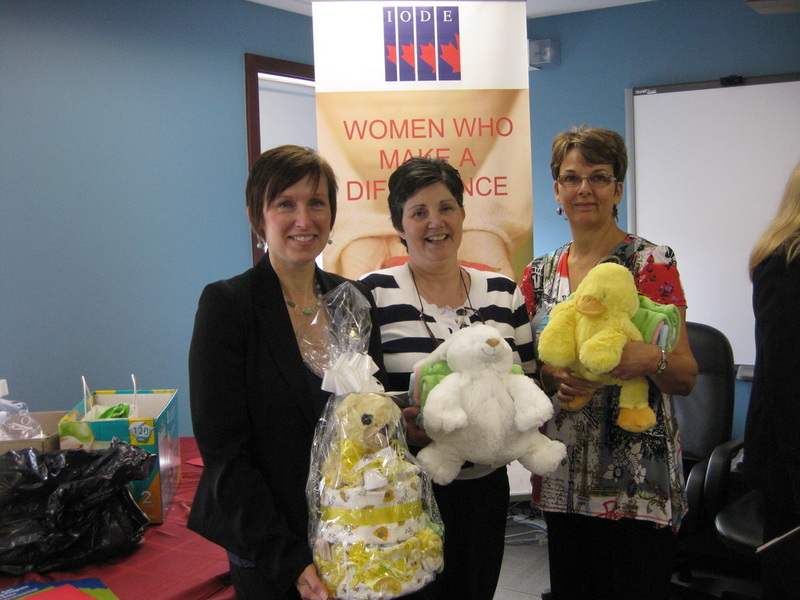 On IODE Founder's Day, 13 February 2019, ​IODE Canada announced the recipient of the 2019 IODE 100th Anniversary Grant Program, New Brunswick Social Pediatrics for their program Strengthening Families. The $25,000 grant will assist high-risk families struggling with addiction in Saint John to receive help. The program will focus on intervention and teach effective parenting strategies and for children, to learn skills that may decrease their risk for behavioral disorders and future addictions. Strengthening Families is a 14-week program that has been implemented worldwide targeting high-risk families struggling with addiction. The emphasis on the whole family is a key element. The program will employ parent-child therapy techniques aimed at promoting healthy, constructive parenting habits. Sessions will be structured so that parents learn effective strategies and children, through interactive play away from the parent, learn social skills. Transportation to the sessions and time to socialize, model new parenting skills and enjoy a family meal is a proven recipe to interrupt intergenerational addictive and abusive behavior. This is the tenth grant awarded to worthy programs that apply from across Canada. The selection committee consisting of three professionals working or teaching in the field of social work and IODE members agreed that among the twenty applications received for 2019, Strengthening Families best met IODE’s goal for the program. Strengthening Families program in Saint John, New Brunswick is the 2019 recipient of the $25,000 grant from the IODE 100th Anniversary Grant Program. The receiving organization, New Brunswick Social Pediatrics, part of Saint John Regional Hospital, currently offers a Parent-Child Assistance Program (PCAP) for new and soon-to-be mothers with alcohol and substance abuse disorders. The PCAP has received positive responses from community agencies reporting that this approach is helping to alleviate substance-use and to improve parenting skills. There is evidence that substance abuse disorders negatively affect a woman’s interpersonal capacities and potentially her ability to bond with her child. Research has demonstrated that parents struggling with addiction spend only half as much time with their children and that the opportunity for neglect or abuse is likely. And so the New Brunswick Social Pediatrics applied for the grant so that they might deliver a more focused program to high-risk families. Dr. Sarah Gander, clinical lead of PCAP, with her team, will be implementing the new program Strengthening Families. This program will provide another layer of focused intervention in battling substance-use and providing empowerment and support for parents. This program has the potential to drastically improving the outcome of infants and youth and their struggling parents. When circumstances negatively affect the mother’s ability to provide caring and compassionate parenting, the child can suffer deep and long lasting negative affects. Positive family relationships are the best way to overcome these conditions. Strengthening Families is a 14-week program aimed at improving parent-child relationships in high-risk families. The program will employ parent-child therapy techniques aimed at promoting healthy, constructive parenting habits. Sessions will be structured so that parents learn effective parenting strategies, while children, through interactive play away from the parent, learn social skills and coping mechanisms that will help the child thrive. for families. Active participation and good attendance is anticipated. New Brunswick Social Pediatrics plans to use the spring to train facilitators to deliver the program and to further assist staff to meet the needs of children and adults. Ten families will be identified and the program will run from September until December with booster sessions after six and twelve months. The professional adjudicators expressed confidence that the evidence- based, proven program, a new pilot program for this region, will be successful at preventing child abuse and neglect. The IODE 100th Anniversary Grant Program is awarded in alternate years. Applications for the 2021 Grant will be accepted in the fall of 2020. The Grant is designed to support programs that prevent, treat and alleviate abuse and neglect in children and youth. In 2000, IODE Canada’s 100th Anniversary gift to Canada was an ongoing grant program open to an individual or group specializing in developing and implementing ways to prevent child abuse and neglect. This award is given in alternate years to professionals working to prevent or alleviate child abuse and neglect. An application form and list of requirements for the grant are available from The National Chapter of Canada IODE. 1. Proposals will be considered from individuals or groups working as professionals, to research, develop or implement ways to alleviate child abuse and neglect. 2. A completed application form and two letters of reference must accompany the proposal. 3. The successful candidate must agree to publish or present the results of the project to an appropriate professional group within two years of receiving Grant. 4. Grants, tenable in Canada will be awarded biennially beginning in 2001. 5. Value will be determined biennially. 6. The winning applicant will be informed of funds available in conjunction with IODE Founder's Day, 13 February 2019. 7. A seven-member committee of selection, composed of four IODE members and three professional advisors will consider the proposals and select the recipient. In 2017, IODE celebrated the Canada's 150th Anniversary of confederation. In recognition of this anniversary, IODE Canada awarded two Grants valued at $25,000 each. The Grants benefit children and youth at-risk of neglect or abuse while fulfilling IODE’s longstanding commitment to Canadian children. The Redwood, a safe haven for women and children fleeing abuse, Parkdale, Toronto, was selected for their program Art Together – An Intersection of Art, Photo-voice and Photography. This is a therapeutic art, story telling, and journaling program for women and children traumatized by family violence to communicate their thoughts, emotions and experiences. Mothers and children gain a deeper insight into their own and each other’s experiences and replace self-blame and guilt with new life-skills and hope through art. The Art Together program was a 12- week evening program for mothers and small children who are residents and past clients. This is a safe place for healing, making connections and friendships. Youth met on a different night to explore art as a healing agent. They were interested in multi-media projects and explored animation and filmmaking. In the final weeks the two programs intersected to prepare for an Art Show. The Elmwood Community Resource Centre, Winnipeg, won for their program Blueprint for Hope, a program to help victims of violence recover. The program, and IODE as a key sponsor, was announced on International Women’s Day 2017. This was a three-tiered program of counseling, workshops and a special program to strengthen and empower girls ages 14 to 21. The Sarawati Girls Initiative developed to strengthen young women, help them learn about themselves, their cultures and the cultures in their community. Weekly focused gatherings, speakers and activities culminated in a late summer camping trip. This provided the opportunity to develop skills as leaders, mentors to younger girls and to become community advocates. Topics included: Mental Health Awareness; Healthy Relationships; Mindfulness techniques; Leadership skills; Civic Engagement and Activism; Role of Women in community; Reconciliation & Building bridges and Cross Cultural communication. The 2015 IODE 100th Anniversary Grant has been awarded to Peaceful Alternatives for Male Youth At-Risk offered by Family Counselling and Support Services (FCSS) of Guelph-Wellington, ON. The Grant will provide a program for youth who have witnessed domestic violence and are at-risk for engaging in violent or abusive behaviours. Professional adjudicators, Dr. Michael Saini, Associate Professor, The University of Toronto, Faculty of Social Work and Gordon Floyd, Chair of the Board of Directors, National Alliance for Children and Youth, were very impressed with this innovative, pilot project. A program that interrupts the cycle of violence in male youth at-risk doesn’t currently exist in communities, yet it could prove to be easily replicated. This program will have great up-stream benefits by intervening in this cycle of violence between youth, peers, family members and later, life partners. The adjudicators felt that IODE is once again supporting a new idea that will help prevent and alleviate abuse in children and youth. Special thanks are extended to IODE Royal Wyndham Chapter, Guelph, who approached this candidate with the IODE 100th Anniversary Grant Program Application. The goal of this program is to teach youth (11 to 15 years) who have been exposed to domestic violence, non-violent and non-abusive ways to resolve conflict. This program will help youth identify and appropriately express their emotions related to their experience of traumatic domestic violence and to develop peaceful alternatives to aggressive behavior. When children are exposed to domestic violence they can learn that violence is an effective way to resolve conflict and that violence is acceptable in relationships. The purpose of this program is to teach healthy, appropriate strategies for managing stress and resolving conflict. Another impact of witnessing violence is the potential intergenerational continuation of violence. In other words, there is some evidence to suggest that the cycle of violence may continue with children who have witnessed family violence. Fortunately, implementing early intervention and support strategies may reduce the immediate and long-term impact on these youth. Youth have proven to be resilient and able to change. In an eight session group format, youth will have an opportunity to examine their beliefs and attitudes toward domestic violence and to learn non-abusive ways of resolving conflict. The program aims to hold youth accountable for violent or aggressive behaviour and at the same time provide the youth with understanding, support and guidance needed to create change. The use of the group model will allow youth to learn from each other and to hold each other accountable for their behaviour. Each group session will contain an education component, a discussion and a skill building exercise. The facilitators will employ the use of visual learning aids in every session. The outcomes of the Peaceful Alternatives for Youth at Risk program will be measured with a pre and post-test questionnaire. This format will indicate what the participants learned over the course of the eight-week group in three content areas: cognitive, behavioral and interpersonal. FCSS will utilize the outcome evaluation form developed for the Child Witness program developed by Dr. Bruce Ryan (retired Dean of Family Studies, University of Guelph) with funding from the Centre of Excellence for Child Welfare. Dr. Melanie Parkin has offered as an in-kind donation consultation on compiling and analyzing the data. Dr. Parkin is a Psychologist and Director of the Centre for Psychological Services at the University of Guelph as well as Adjunct Faculty in the Department of Psychology at the University of Guelph. The results of the research will be delivered to the IODE as the pre and post tests results and will be made available to the child welfare network through the Violence Against Women - Central West Region Forum, Ministry of Community and Social Services. The meaningful evaluation tools and presentation plans were an added incentive to award this program the Grant. The budget uses IODE’s $25,000 very wisely. IODE funds have made it possible for this program to be conducted. The Children’s Aid Society (CAS) of the District of Nipissing & Parry Sound has been awarded the 2013 IODE 100th Anniversary Grant valued at $25,000 for their project Play Your Part Parenting – Beyond the Basics. The IODE Canada grant will fund two, ten-week parenting courses beginning in April 2013 with topics such as attachment and bonding, safe sleeping, feeding and nutrition, learning thorough play and active living. The program will increase parents’ knowledge of coping strategies, provide a healthy start for infants and moms, screen for developmental delays and model a nurturing environment. The program targets approximately 60 high-risk families who are already known to the CAS. The seven-member panel comprised of professional social workers and IODE members selected Play Your Part Parenting program because it offers direct support to parents in jeopardy of neglecting their children with proven parenting programs. It is a program that offers concrete items: quality childcare, socialization of isolated parents and a healthy snack - all reasons to return the next week. The program has the potential to be innovative and showcase positive intervention that will prevent child abuse and neglect. National President Ann Dyer travelled to North Bay with 100th Anniversary Grant Chairman Pamela Gallagher to participate in the formal presentation of the IODE Canada 100th Anniversary Grant. The award winning program Play Your Part Parenting – Beyond the Basics program, designed by Linda McLay, MA Child Development, caught the attention of the seven-member panel of adjudicators and was selected over many other applications. The program acts directly to support parents who might abuse or neglect newborns or infants. IODE President Dyer explained that this target group rarely attends parenting programs offered in the community. This program offers concrete items such as qualified childcare, nutritious snacks and socialization of isolated new moms that will encourage moms to return each week. North Bay Mayor Al McDonald attended and praised both the Children’s Aid and our local IODE chapters for their support of the most vulnerable in the North Bay community. Patricia Courchaine represented Federal Nipissing MP Jay Aspin and brought a certificate of congratulations for the CAS in recognition of the IODE Canada award. Patti Fedeli spoke on behalf of Provincial MP Vic Fedeli. She reminded all present that IODE members and CAS case workers, all mothers, daughters and grandmothers, knew the important of mothering a new mom. Patti highlighted the similar goals between the two organizations, to assist and support with tangible help those less fortunate. Giselle Hebert, Executive Director or the CAS for the District of Nipissing and Parry Sound, spoke about the problems faced by CAS in this large geographic area. They currently have over 620 open cases and run many programs for their clients as well as the general community in prenatal and early childhood care. She noted that abuse of prescription drugs illegally obtained is a problem creeping up from bigger centres in southern Ontario. This parenting program will reach a group most in need of intervention. IODE members from both Manitou and Dr. Herbert A. Bruce chapters attended the award presentation and are eager to support and extend this national program though their own local IODE initiatives. Members of both chapters have already signed on to be part of a group of volunteers who will provide individual care and rock the newborn infants while their moms attend the classes. 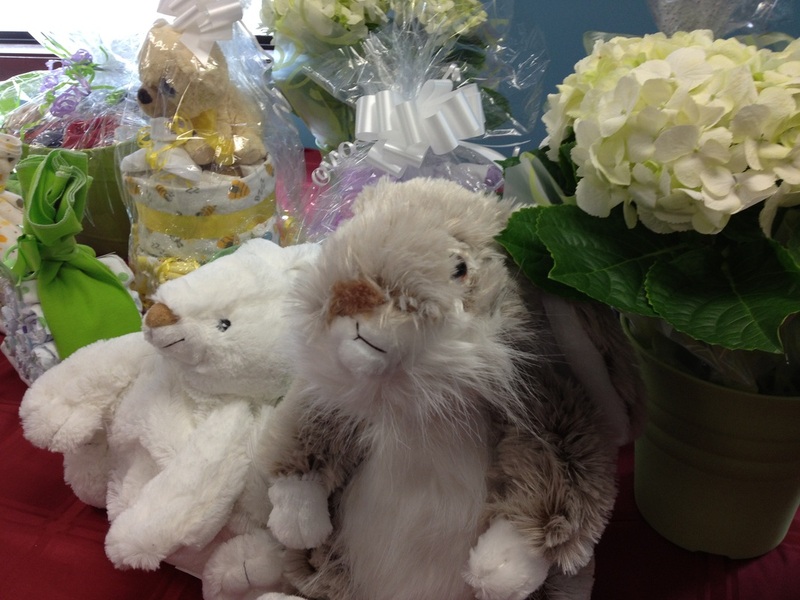 Practical and nurturing gifts for the mom & newborn including clothing and gift certificates to the IODE Victory Shop in North Bay are all planned. The program classes will be conducted at One Kids Place Children’s Treatment Centre in North Bay beginning Tuesday April 23, 2013 and runs for ten weeks. A further session will be offered in the fall. Transportation and car pooling can be arranged via the CAS. The IODE Canada 100th Anniversary Grant to Alleviate and Prevent Child Abuse and neglect will be offered again in 2015. 100th Anniversary Grant Chair Pamela Gallagher, Linda Forbes Dr. Herbert Bruce Chapter President , Shirley Priolo Manitou Chapter President, and IODE Canada National President Ann Dyer. Laura Nichols, Dr. Herbert A. Bruce Chapter welcomes CAS staff members, Andre Croskery and Ginette Frederick, as our newest IODE members the day of the 100th Anniversary presentation. Many children and youth face isolation, stigma, low self esteem, abuse, neglect, violence, bullying and thoughts of suicide when they question or “come out” as LGBTQ (Lesbian, Gay, Bi-sexual, Transgender, Queer). Their future happiness depends on acceptance and support by their parents and families, whose attitudes and behaviour determine risk factors for this marginalized segment of society. Past National President Noreen Salari, Chairman of the IODE 100th Anniversary Grant Program to alleviate child abuse and neglect, announced that Delisle Youth Services of Toronto won the 2011 grant of $25,000 for their proposal to develop and implement a program to assist parents and family of LGBTQ children. Founded in 1970, Delisle Youth Services will use the grant to create an innovative and educational course, Parent and Family Education Program (PFEP), aimed at informing and supporting parents and families who lack relevant information on where to find assistance on how to accept, help and support their LGBTQ child. Through the development of coping skills and knowledge learned through PFEP in communicating positively with their LGBTQ child, family relationships will be strengthened through acceptance of their child’s sexual gender and identity. Families can then provide a safe and nurturing support system and cope with potential harmful, unsafe and negligent treatment of their family member outside the home. For further community outreach, Delisle will also produce information videos on YouTube, and create and distribute materials for distribution through schools and community agencies. The effectiveness of the program will be evaluated in consultation with a professional group, such as Out and Proud, a program of the Children’s Aid Society Toronto. The IODE 100th Anniversary Grant Program is funded through the generous support of IODE members and primary chapters across Canada. Presented officially to Canada in June 2000 and awarded biennially, its value has increased from $10,000 to the present $25,000. 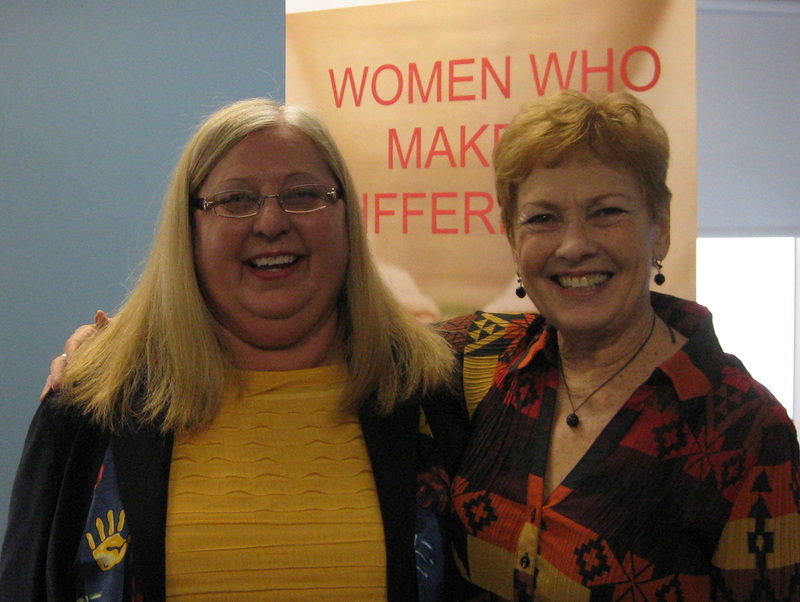 The winner of The National Chapter of Canada IODE 100th Anniversary Program Grant for 2009, valued at $25,000 was Respect, Safety, Violence and Prevention Program (RSVP) of Family Services of Greater Vancouver (founded in 1928) won the 2009 $25,000 grant. RSVP has been in operation since 2001 and fulfills the Family Services’ mission: “Strengthening People, Families and Communities.” It is a free, school-based early intervention and prevention program available for at risk children (grades 5-7) and youth (all grades) in Vancouver. The winner of The National Chapter of Canada IODE 100th Anniversary Program Grant for 2007, valued at $20,000, was Child and Family Services of Western Manitoba, Brandon, Manitoba, for their Preschool Enrichment Program. The Preschool Enrichment Program, a prevention/family strengthening program, is a unique Preschool/Head-start program in Brandon specifically for children in high risk situations, in need of stimulating, enriching experiences vital to their healthy growth and development. It is mainly for families who have been referred by Child and Family Services, public health and other community services. These children would otherwise not have the opportunity to attend a preschool program. Promote the cognitive development of child by encouraging learning at all levels. Promote the social and emotional development of child by encouraging self-expression. Encourage the child to develop self-discipline while respecting the rights of others. Facilitate language and encourage the use of problem solving process. Offer an opportunity to estable secure relationships with adults who show a sincere interest in each child. Encourage enjoyment and satisfaction as motivation for further learning. The program emphasizes individual and small group learning experiences and uses the child’s natural means of learning through play, exploration an investigation. The Preschool Enrichment Program is under the auspices of Child and Family Services of Western Manitoba, and is supervised by the Program Director of Child and Family Services of Western Manitoba. The winner of The National Chapter of Canada IODE 100th Anniversary Program Grant for 2005, valued at $20,000 was Cumberland Early Intervention Program, Amherst, Nova Scotia, for their Challenging Behaviour Project. Miss Lisa Gower has written a letter accepting the 2005 100th Anniversary Grant. Miss Gower expresses her sincerest gratitude on behalf of the Cumberland Early Intervention Program. Lisa exclaimed, "It was with great excitement that we accepted this generous grant and look forward to the official announcement in February. We are most proud of our work and thank IODE for the recognition and support of this valuable initiative." Amherst, Nova Scotia is in Cumberland County, 36 miles from Moncton, New Brunswick. People living in rural areas have reduced access to health, social resources and programs. There are no public transportation services in Cumberland County; therefore, lack of transportation becomes a barrier for many families in their attempts to access services. The economy of the county continues to be depressed. The Cumberland Early Intervention Program has been in operation since May of 1990. The program is essentially focused "in home", as their philosophy is that families have the most impact on a child's development and thus, any program has a better chance of success if the family is actively and happily involved. Since the program's inception, 335 children and their families have been served. Currently there are 61 families and 67 children on their active caseload. The Cumberland Early Intervention Program hired a Behavioural Family Interventionist to conduct a three-year research project from September 2003 to September 2006. They are now entering the third year of the program, which IODE will be funding. Year One, the project commenced. Orientation tasks were completed to help familiarize the Behaviour Interventionist with Early Intervention standards and guidelines and available resources in the office and community. A series of daycare, school and community visits were set up to introduce this new service offered to families and childcare centres in Cumberland County. A period of mentorship was established to help the Interventionist develop skills in the area of home visiting and developing relationships with families. Criteria has been developed for initial screening of clients for acceptance in the program or referral to other services. A referral system has been established with organizations such as Family & Children's Services, Public Health, Mental Health and Maggie’s Place. Self-referral is also possible to ensure accessibility for families. quantitative data on the impact of the service. One of the main goals for the project was to define what a successful intervention would look like. After much research they feel that this position would encompass the following for families at risk. Aid in the prevention of an unsafe environment. Strengthen family and community connections and support. Treat parents as vital contributors to their children's growth and development. Create opportunities for parents to feel empowered to act on their own behalf. Respect the integrity of the family. Enhance parents' capability to foster the optimal development of their children and themselves. Provide settings where parents and children can gather, interact, support and learn from each other. Enhance coordination and integration of services needed by families. Enhance community awareness of the importance of healthy parenting practices. Year Three will be the presentation of results. The primary focus of the third year is to do an in-depth statistical analysis of all the collected data. There will be an overall investigation of the project encompassing strengths and needs for continued service to families. As these analyses are being conducted, full service to families will also continue. A final report of the findings will be compiled and presented to various community agencies including Family & Children's Services, Public Health, Mental Health & Maggie's Place (a resource centre of families). The Board of Directors for Early Intervention Nova Scotia. Executive Directors of the seventeen Early Intervention programs. The Department of Community Services. National Center of Excellence for Children & Youth with special needs in rural areas. (Mount St. Vincent University). The final report of the project will be the backbone to their lobbying campaign to the government. It is their intention to use the results of this project to support their efforts in making this service available to families across the province. 2. To conduct research that will demonstrate best practice and better outcomes. and to prevent families from entering the child welfare system. “If there is one thing I could say to all the wonderful people who devote their time, energy, and money to this program, it would simply be "Thank you". The "Challenging Behaviours" program is an awesome resource that is definitely needed, and has made a difference in our home at least, that will last a lifetime. God bless each one for their participation - however great or small - in this definitely worthy cause". The winner of The National Chapter of Canada IODE 100th Anniversary Program Grant for 2003, valued at $15,000 was Sylvan Lake Kindercare, Sylvan Lake, Alberta, Safe and Caring Project. The Grant will be used for research, development, implementation and evaluation of the project over the next two years. The aim is to raise awareness of young children (3-6 years of age) about relations with others that are safe and caring and ways to respond to individuals who do not treat them in a safe and caring manner. Under the guidance of the planning team staff will behired to research anddevelop program materials foruse by children and adults. The material for children will teach them about body parts and appropriate behaviour. An in service day will instruct early childhood professionals, parents, caregivers and community members about signs that may indicate possible child abuse, ways to respond to the signs, legal requirements upon receiving a disclosure of abuse or neglect and agencies to contact. During the past five years, many new families have moved to Sylvan Lake in search of employment and affordable housing; with them has come a drastic increase in the incidence of family crisis, child abuse. Serving Sylvan Lake and the surrounding communities since 1978, Kindercare is staffed by a team of childhood professionals. Together with parents, volunteers, community members and agencies, Kindercare Achievement Center supports the growth and development of all children. The winner of The National Chapter of Canada IODE 100th Anniversary Program Grant for 2001, valued at $20,000, was the Welcome Baby Support Program of Toronto, Ontario. Welcome Baby Support Program is a community-based, non-profit organization dedicated to the support of first-time adolescent mothers and their babies. They are at risk of isolation, high levels of emotional stress, situations of abuse/neglect. Low birth weight is common. With a volunteer Board of Directors, a small investment in four part-time staff and some operating costs, this Program was able to mobilize over 150 community volunteers in 2000 (a 25% gain over the previous year). These specially screened and trained volunteers act as life skills teachers and mentors and offer friendship to young women who lack support from family or friends. The goal is to develop a trust relationship with a teen mom, help her in the bonding process with her baby, establish healthy routines and plan for the future. Since 1986, Welcome Baby has worked with young mothers to create a home environment conducive to the physical, emotional and psychological well-being of their children and themselves. Welcome Baby has been honoured locally with a “Youth Impact Award” and received national acclaim for “Services to Children and Families”.